India has to be one of the most stimulating countries on this planet! Land of colour and contrast, it is a feast of the senses. No-one can enter this land without being touched in some way by its many and varied, beautiful and sometimes confronting, events and experiences. Being the 7th largest country in the world, it teams with people and offers a myriad of flavours and colours. For some, this can be too much unless you plan your trip wisely, yet for the adventurous and young, it can be an exciting and fluid banquet. Colourful, spicy, majestic, bustling, spiritual, creative and ancient are some of the adjectives that come to mind when describing the “hundreds of Indias” that are India. Bustling Cities - Mumbai - modern and bustling home of Bollywood, and the famous Gate of India; Delhi - capital and administrative centre with the bustling Connaught Circus and stepping off point to the Golden Triangle of the Taj Mahal and Jaipur; Chennai - gateway to the south; Calcutta - crowded, colourful home to rickshaws, the Kali temple and Mother Therese’s voluntary network. 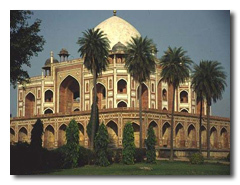 Ruins of Forts/Palaces - These pepper the landscape over much of India, especially around Delhi you will find many forts, palaces and mausaleums that you will love to explore. Wildlife - Nature lovers can see anything from elephants, tigers, leopards and lions and rhinos….to rare and exotic birdlife. 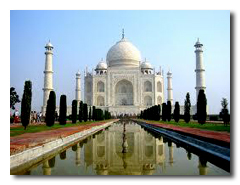 India has over 80 wildlife parks. Popular ones are Corbett, Rajaji and Dudhwa (Uttar Pradesh), Kanha, Pench (Madhya Pradesh) and Sasan Gir (Gujarat). Keoladeo Ghana, Bharatpur (Rajasthan) is a famous bird sanctuary. 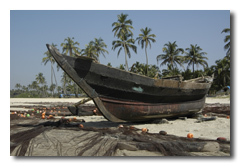 Beaches - from Kerala to Goa and the south tip, beaches are particularly Indian - crowded and cheerful, sometimes dirty. Then there is of course the beautiful Andaman Islands. - Andhra Pradesh has over 140 listed Buddhist sites, which provide a panoramic view of the history of Buddhism from 3rd century B.C. 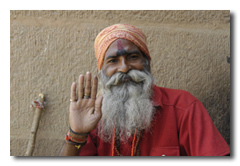 to 14th century A.D.
Healing - Yoga, Ayurveda and Meditation centres can be found all over India. Adventure - Paragliding and rafting in Himachaal, Trekking in the northeast and the Himalayas, Bike tours on the plains or mountain bike tours in the high Himalayas. Spiriitual Centres - Osho’s centre in Pune, Aurobindo and the Mother’s ashram in Pondicherry, Yoga centres in Hardiwar and Rishikesh, His Holiness the 14th Dalai Lama of Tibet home in Dharamsala, The Golden Temple at Amritsar, Sai Baba’s ashram in Puttaparthi, Andhara Pradesh and Amma’s (the hugging saint mother) ashram at Amritapuri, Kerala. Hill Stations - Simla, Kassauli, Manali, Musoorie, Darjeeling and Kalimpong - Indians flock to these higher areas when the heat of the plains escalates. Spices - the south is famous for these sensual delights. Spice plantations are captivating. Pepper, cardamom, cinnamon, ginger, vanilla, and nutmeg, are just some of the spices grown and harvested. Festivals and Celebrations - Pushkar camel fair (November), Holi, the festival of colours where coloured powders are thrown (March) , Diwali - festival of lights where fireworks are lit and sweets given (November 2010), Kumba Mela where once every 12 years saints and yogis gather to bless and amaze (October 2010). 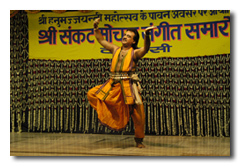 In addition there are always many local festivals throughout India. 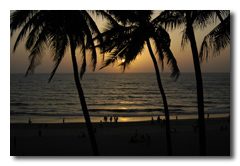 Generally October to March is the best time to visit India as the heat and rains by then have usually abated. The Himalayas of course are different. In the winter these places are impassable - so it is in the summer months of May till October that tourists visit.